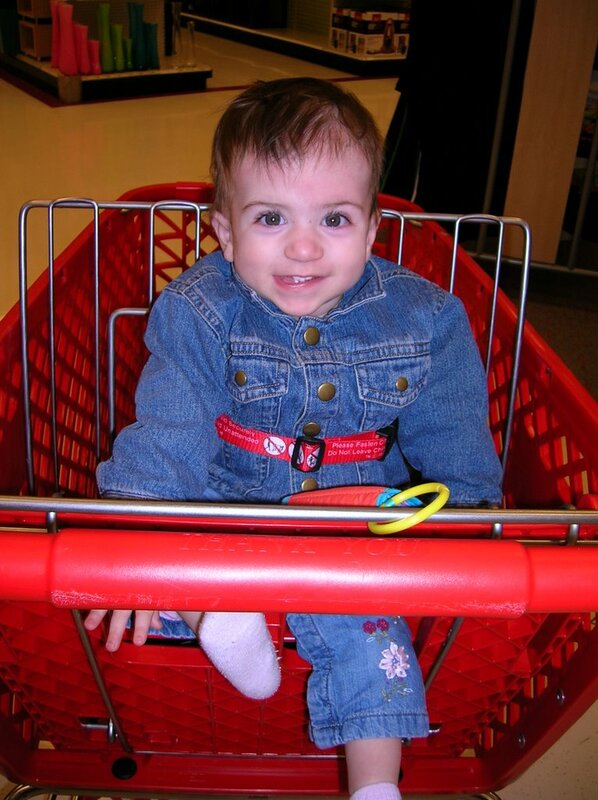 Today Charlotte rode in the cart at Target and the grocery store for the first time. She sits up fine on the floor so I figured I’d try it. It was fun to be able to look at her and chat with her. I showed her two bathing suits and asked her which one she liked better. She grabbed the purple and brown one and giggled, so we bought that one. On the feeding front: She is still on strike with solid food. She discovered puffy Cheetos at Hal’s house and she’ll eat a couple of those or some veggie sticks, but only a bite or two, if that, of anything else. She’s taking the bottle for a bit if she doesn’t have reflux. Today she ate about 115 ml as we walked around, most of it at the Gap. 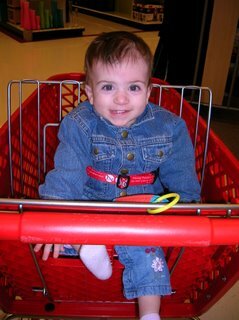 Later she ate two ounces at Target. April 13, our appointment at CHOW, can’t come soon enough.